The 26-year-old was all set for a move to France to ply his trade in Pro D2, but last month, Mugford chose not to move abroad and instead, he will continue to play National One rugby this season for Albion. The former Exeter academy player revealed his reasons to stay at Plymouth outweighed his motives to move across the English Channel. “It was a really tough decision to actually leave in the first place and to try and take myself away from a place I really adore being at,” said Mugford. “When I did make my choice, it was heart breaking. So, to actually change my mind and make the decision to stay means I feel at home and I feel it is the place I am meant to be at. “I got to the stage where I thought I wanted to try and progress my rugby again. I wanted to see what else was out there really. I felt confident in the way I was playing so I wanted to go and see new horizons and push myself. “However, I felt the decisions I had made to go were not the best reasons to go for and actually as France got closer, they came to light. “Rather than go through with it, there were other reasons which meant more to me to keep me to stay. I just thought I can’t do it and I had to speak up. Mugford moved back to Devon at the beginning of last season after his spell with Sale Sharks in the Premiership. During his time in Manchester, Mugford went through a really tough period in his life as he battled against depression, but with the guidance of The Rugby Players Association, he was able to seek advice while his playing career moved in the direction of Plymouth. Ex-Sale fly-half Dan Mugford opens up on depression battle. He now hopes he can help other sportsmen and women. Mugford says Albion have done a lot for his career and inviting him back to re-join the club after saying his goodbyes earlier this summer was special for him. He added: “It was huge. Obviously, I had decided to leave and I said my farewells. “They brought in other players in that period to kind of replace me and when I turned around and said ‘Guys, I think I have made a mistake’ they did everything they could to make sure there was a place for me to come back to. “The club is somewhere where I am really happy to be. From the coaches environment with Kieran Hallett, to all the boys and the owner at the club, Dave [David Venables], everyone has been there for me. With Mugford’s future now clear, he is hoping to help Plymouth build on back-to-back third place finishes in National One. The men from Brickfields have not been able to keep pace with recent champions Hartpury and Coventry, but Mugford, who missed the majority of the second half of last season with a broken arm, admits Albion are looking stronger heading into this campaign. 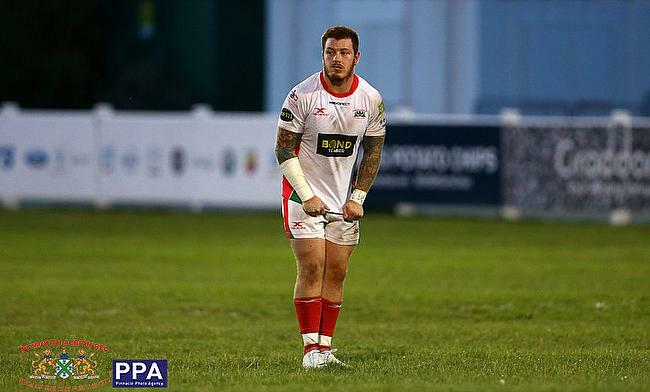 A big season ahead for @AlbionRFC? Check out what Head Coach Kieran Hallet had to say as the men from Brickfields gear up for another #Nat1 campaign. Mugford said: “We wanted to be up there or thereabouts. Coventry obviously stormed the league and did very well last season. We were probably just a little bit off it. “We had some quite significant injuries to key players in our quite small squad. I was out from February for the rest of the season. We had Herbie [Stupple] our captain out for a long period as well and we didn’t really have the depth in our squad and the experience in there to pull us through. “What it did allow was for some of the young guys to come through and gain some experience and they did very well. Last Friday, Plymouth kicked off their pre-season with a 21-19 victory over Championship outfit Bedford Blues and they have two more fixtures to come against the University of Exeter and Cornish Pirates before they begin the new campaign at home to Chinnor on September 1st. Albion are now preparing for their fourth consecutive season in National One, but their aim is to try and make a return to the second tier of English rugby. “The club is a lot more settled now and the people behind the scenes have done very well to ensure that,” said Mugford. “I think as a playing squad, we are wanting to take that next step. It is going to be tough. The league is wide open for anyone to take and there are some tough fixtures right at the start of the campaign.